Out of the many revelations—mostly depressing and dispiriting—that came out of the sexual harassment scandals that got first Roger Ailes, and later Bill O’Reilly, kicked out of their Fox News dens, one of the most notable has been learning just how disconnected the cable news network is from the wider 21st Century Fox organization that ostensibly controls it. A new Washington Post piece illustrated that often confrontational relationship today, centering on testimony from Jacques Nasser, a Fox board member talking to British courts about the company’s attempted merger with Sky (and also, incidentally, the various sexual harassment issue running rampant at the cable news network). Nasser’s testimony is mostly about the technical details of the imperiled business deal, but contains a separate section on the Fox board’s slow realization, and attempts to correct, the sexual harassment problem lurking in the Fox News weeds. Ailes himself was fairly easy to deal with, once Gretchen Carlson’s legal case gave the Fox board ammo to use. But although the board members were supposedly informed about the numerous allegations against O’Reilly at the same time, disposing of him was significantly trickier, not least of which because his lawyers had managed to negotiate a deeply odious clause into his high-paying contracts, stating that he could only be fired for sexual indiscretions if they’d been proven in a court of law. As the last year has made abundantly, painfully, repeatedly clear, though, that kind of definitive court win is something that’s very difficult to pull off, especially when the accused is pushing for a settlement with all their professional power and high-power legal might. (It also adds a new wrinkle to O’Reilly’s frequent assertions that his multiple settlements were made because he didn’t want to have his family dragged through the mud, and not, say, because a loss in court would leave him open to being fired.) 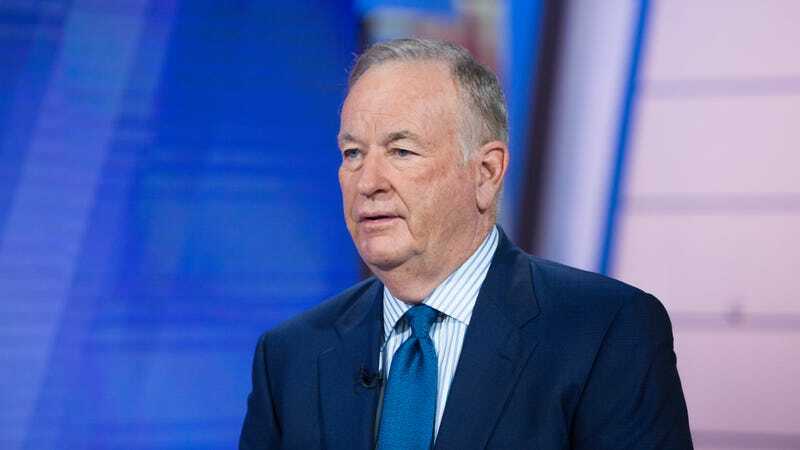 According to Nasser, the board insisted that O’Reilly’s most recent bout of contract negotiations—which wrapped up just as the New York Times published the expose that ultimately ended his TV career, and just a few months after his most expensive settlement to date—include a demand striking the protection clause. Hence the company’s ability to fire O’Reilly later that year, once the NYT piece had stoked public rage against him. Of course, it’s not like 21st Century Fox is blameless in all this; they profited mightily over the years from turning a blind eye to Ailes’ cable news fiefdom, and from O’Reilly in particular, before public pressure forced them into an unwanted bout of self-examination. Meanwhile, there’s no real evidence that the culture of harassment apparently prevalent at the company has started to abate; every month or so, it feels like another one of the network’s remaining hosts has been accused of sexual harassment by the women forced to operate in their orbits, despite Ailes and O’Reilly’s removals.